396 pages | 450 Color Illus. Introduction to Cinematography offers a practical, stage-by-stage guide to the creative and technical foundations of cinematography. Building from a skills-based approach focused on professional practice, cinematographer and author Tania Hoser provides a step-by-step introduction for both cinematographers and camera assistants to the techniques, processes, and procedures of working with cameras, lenses, and light. She provides hands-on insight into negotiating with production constraints and understanding the essentials of the image workflow from shot to distribution, on projects of any scope and budget. Richly illustrated, the book incorporates exercises and sample scripts throughout, exploring light, color, movement, ‘blocking’, and pacing scenes. The principles and techniques of shaping and controlling light are applied to working with natural light, film lamps, and, as with all areas of cinematography, to low budget alternatives. This makes Introduction to Cinematography the perfect newcomer’s guide to learning the skills of cinematography that enables seamless progression from exercises through to full feature shoots. Assessment rubrics provide a framework to measure progress as the reader’s ability to visually interpret scripts and enhance the director’s vision develops. Strategies for both starting and progressing your career within cinematography and the camera department. "One of the most practical and useful books on the art and technique of cinematography for students and working professionals that we have. 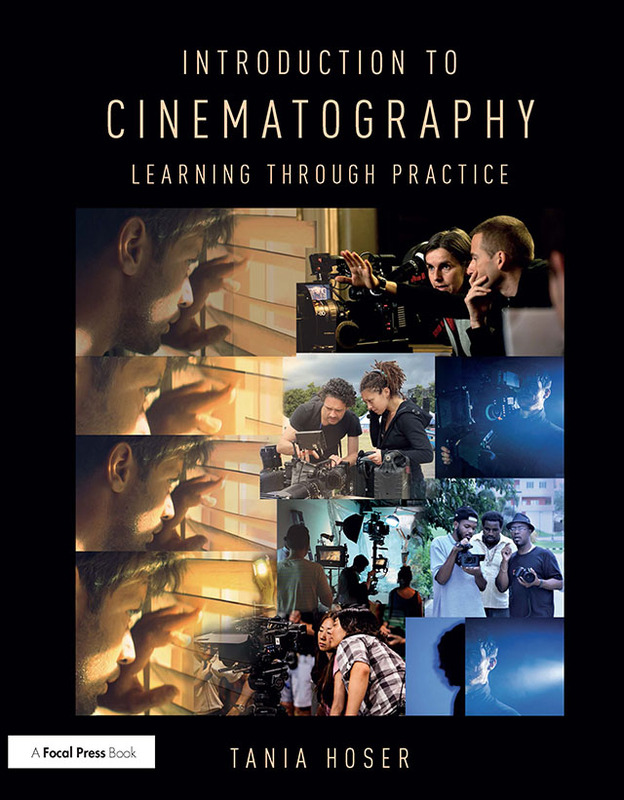 I highly recommend Tania Hoser’s book for teachers and students of cinematography." Tania Hoser started her career as a union apprentice and later worked her way up through the camera grades on feature films and commercials. Tania completed her training at the Royal College of Art, where she won the Kodak and Metz cinematography prizes and shot six award-winning films. During this time, she also had several television commissions as a writer/director. She has taught film, photography, and cinematography at universities in several countries, including the University of the West Indies, Barbados, and Abu Dhabi Women’s College, United Arab Emirates.